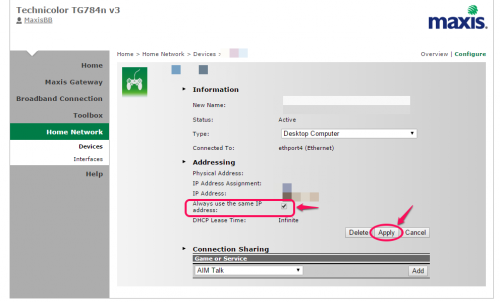 You can actually assign a static IP for your computer using DHCP. Most router will support this feature. But there are many terms for it. For example, TP-Link router call this feature “DHCP Address Reservation”. 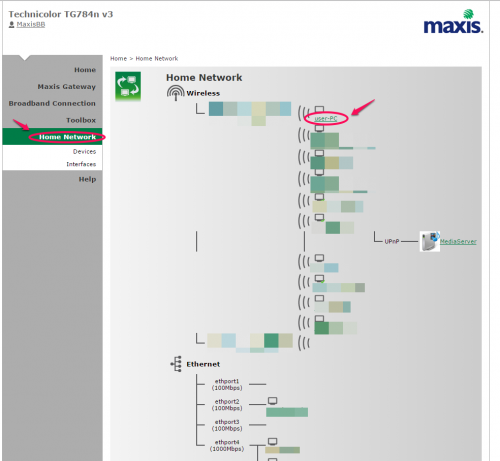 Unfortunately, my router provided by Maxis is a Technicolor TG784n v3 (also commonly known as the Thomson router) which uses a custom interface. None of the settings name make sense to a technical guy like me. 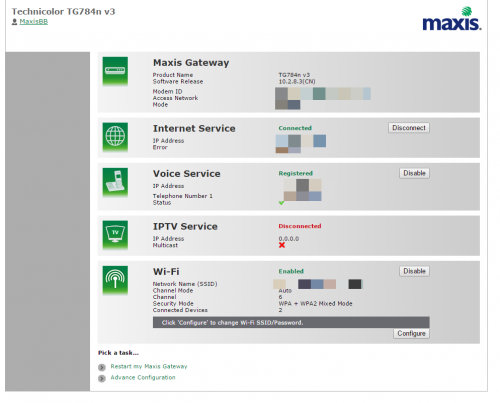 In this guide, I’ll show you on how to set it in the TG784n v3 router. Click on “Advance Configuration” located at the bottom. 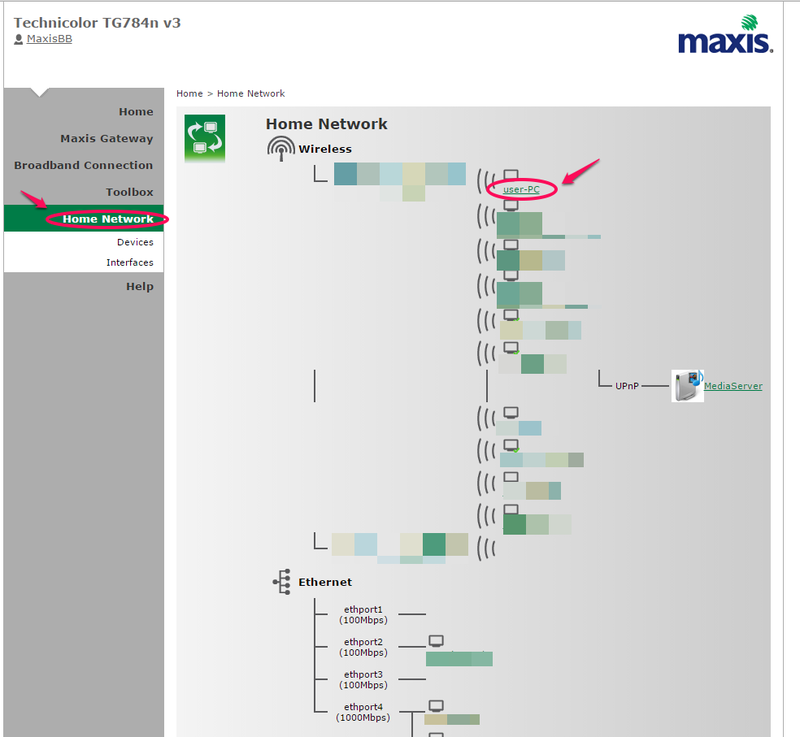 At the “Home Network” section, find your device name that connected to the network (with the green tick). It should be easily recognizable. Else, you’ll need to find it in your device. Then click on the device name. Click on “Configure” located on the top right. Check the “Always use the same IP address” then click apply. This entry was posted in Guide and tagged fibre, maxis, network, router. Bookmark the permalink. Hi Bro, how r u? PeowYong here, happen to bump in to ur site while searching for something… btw, how do we set the DMZ in this Technicolor TG784n v3? I had set a static IP for the device. 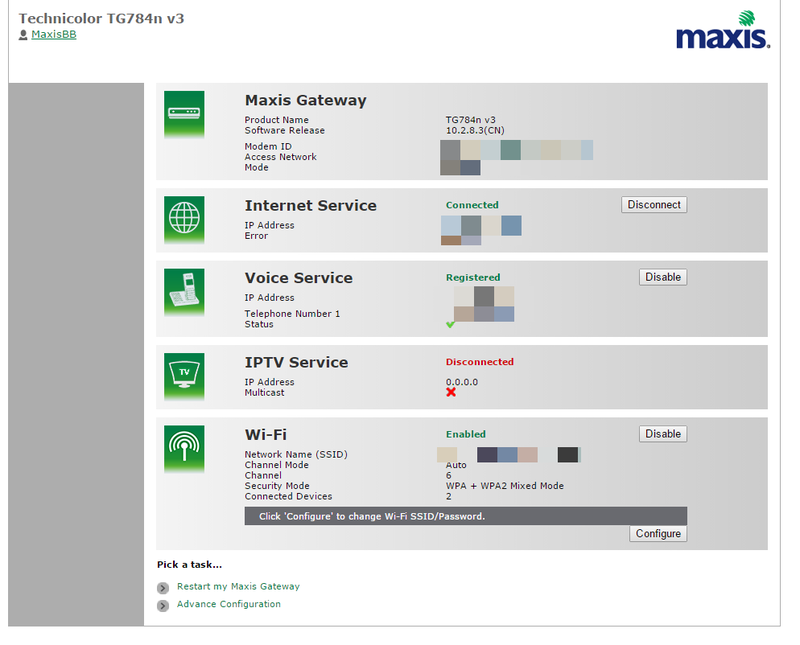 I can’t set the DMZ, it just shows “Not assigned and no compatible device found” for both eInternet and mInterment. i can’t do the settings even though i had login as Administrator. I’m good, how about you? 🙂 Sorry for the late reply, I rarely check the comments… haha. Currently i’m facing a problem. I’m using Technicolor TG784n v3 router and Canon MF 4420w printer. 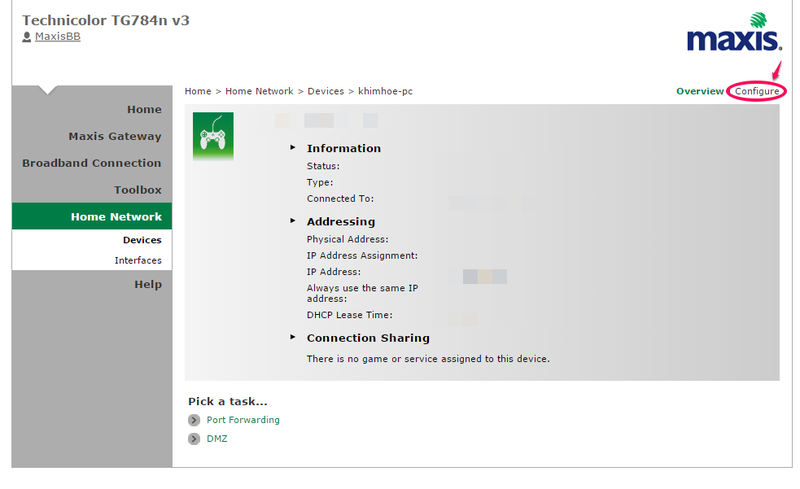 Printer configured wifi with DHCP, but on router i couldn’t find my printer ip. whats wrong with that? Could u help me? Not sure about that, but did you check your IP address from the printer itself?